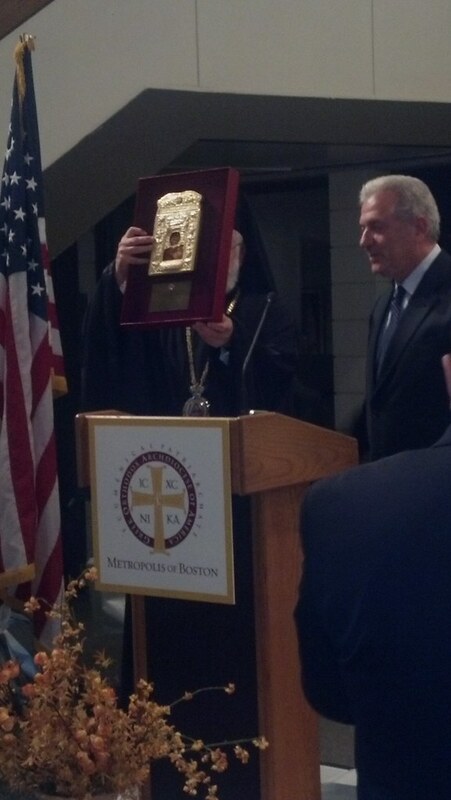 Metropolitan Methodios hosted a reception in honor of His Excellency Dimitrios L. Avramopoulos who is the Minister of Foreign Affairs of the Hellenic Republic and His Excellency Christos Panagopoulos, the new appointed Ambassador of Greece to the United States. Also present were Director of the Minister’s political office, Ambassador Dionisios Kodelas and Deputy Minister of Foreign Affairs Constantine Tsiaras. A well attended crowd gathered at the Maliotis Cultural Center in Brookline, Massachusetts the evening of September 21, 2012.